This is very much like "Decade", adding by sevens rather than tens, and far easier to win. Objective: Remove all of the cards. 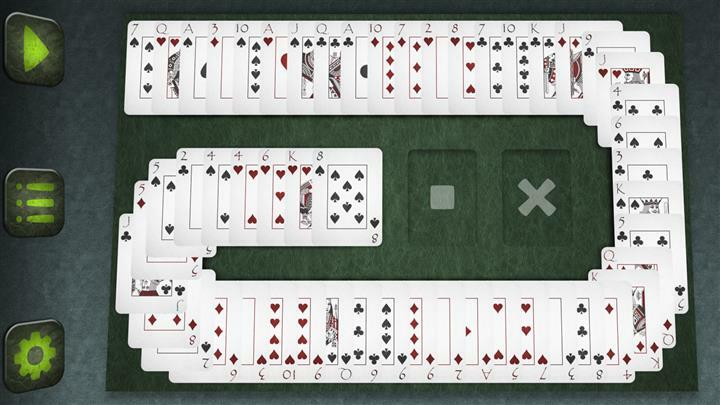 Select any two cards. 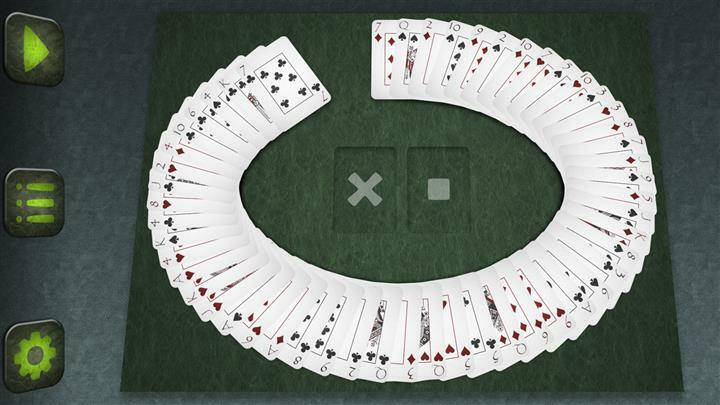 The cards in between are also selected. Add up the values of the ranks of each card that is selected. The jack, queen, and king cards have a value of 11, 12, and 13. 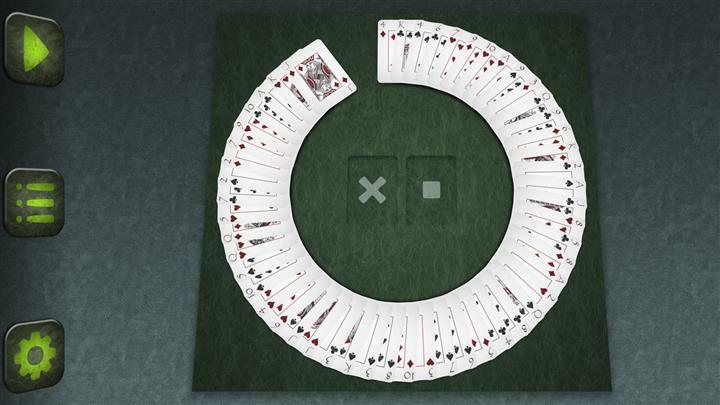 If the total amount is a multiple of 7 then the cards will be removed (eg: 7, 14, 21, 28, 35...). A 7 card can be removed by itself. Moves one card to the tableau. 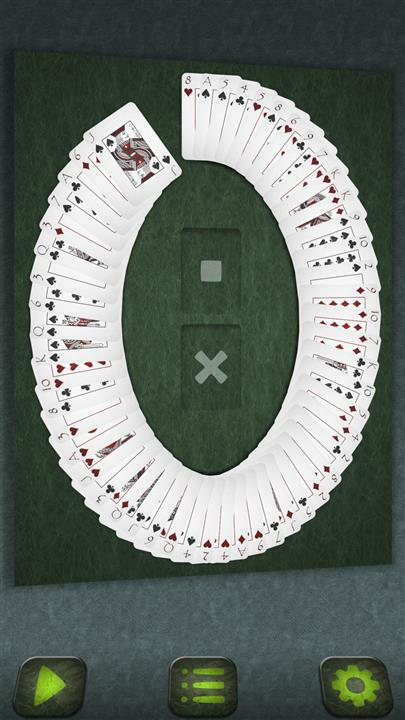 Contains the cards that have been removed.